October 14th is Railway Day. 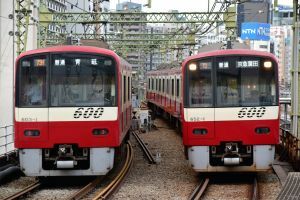 The first railway in Japan was between Shimbashi and Yokohama station and opened on this day in 1872. In 1994, Raiway Day was designated to commemorate the opening of railway services and to encourage its development. 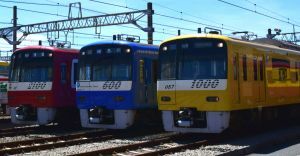 Every October, the Railway Day Executive Committee, which is comprised of railway companies, related organizations, and government agencies, holds various railway events across Japan to try to win people's support for the railway system and encourage people to gain deeper understanding and interest in the railway's role in society. At these events, many original railway items are exhibited and sold. You can experience driving a train with a simulator. There are also some shows and games for kids. So families, as well as railway enthusiasts and train supporters, can have a wonderful time there.